Contrary to popular belief, if you talk to young people in Tanzania, most have no interest to migrate out of Africa. If basic needs are met: food, shelter, education, security and a clean environment, the majority of citizens prefer to live in Tanzania. The current ‘migration crisis’ out of Africa can be curbed if there are more efforts to improve the livelihoods of citizens in their home countries. Terrawatu has always been proud to be working on the forefront of this issue, slowly but steadily improving food security, education, the environment and basic health care needs in communities throughout northern Tanzania. In 2017, Terrawatu deployed the first KIO KIT at Natema Primary School. Designed in Kenya, the kit includes 40 dust-proof and water-resistant tablets that communicate with a server housed in the kit case (Intranet). Students have access to a wide-ranging suite of educational material, in both English and Swahili. We decided to give it a year to see how the KIO KIT did, or did not, change outcomes of national exam results, administered in October of every year. 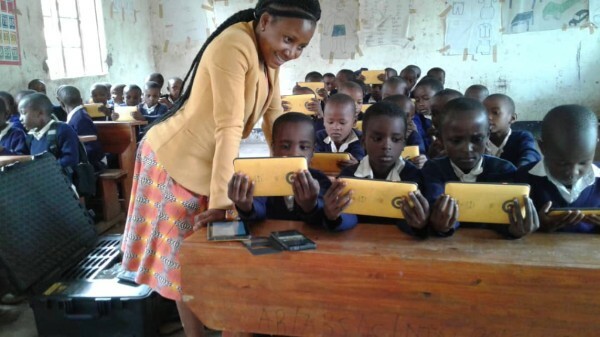 When we asked Ms. Dommy Bazil, the IT teacher at Natema who oversees the use of the KIO KIT, about its impact, the first thing she reported back in February was that student attendance increased significantly. Children are coming to school more regularly because they want to use, and learn, on the tablets. She also reported that students are rapidly improving in their English comprehension and speaking skills. And, when the results came in from the national exams, we received the great news that Natema Primary School moved up in their ranking in Arusha District from #48 in 2017, to #18 in 2018. Head Teacher Ms. Zakia Kalombala affirmed that this improvement in ranking was attributable to the introduction and use of the KIO KIT. The financial cost of KIO KIT deployment is significant, so Terrawatu directors are now exploring grant opportunities to support deployment of more kits to our partner schools in 2019. 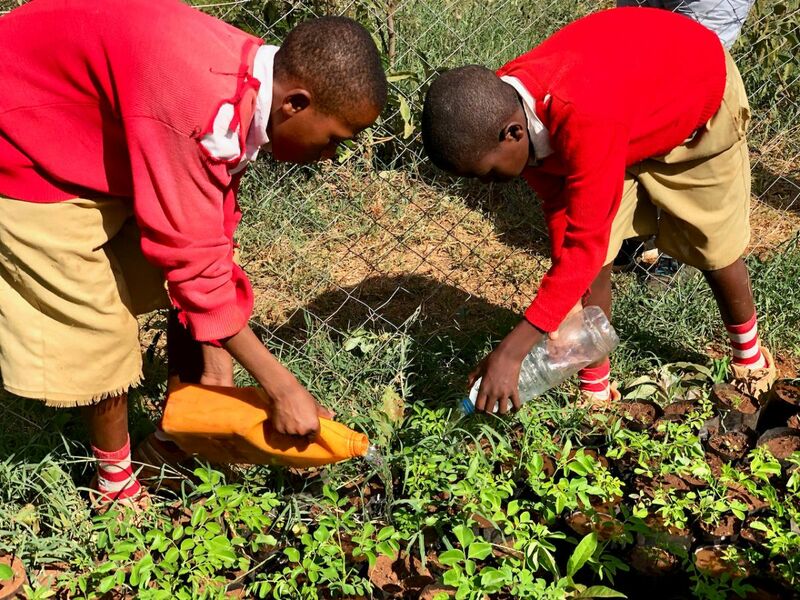 In other news at Natema Primary School, a new school garden was launched in October 2018 and the students are growing mchicha, a local leafy green vegetable that is easy to grow and very nutritious. 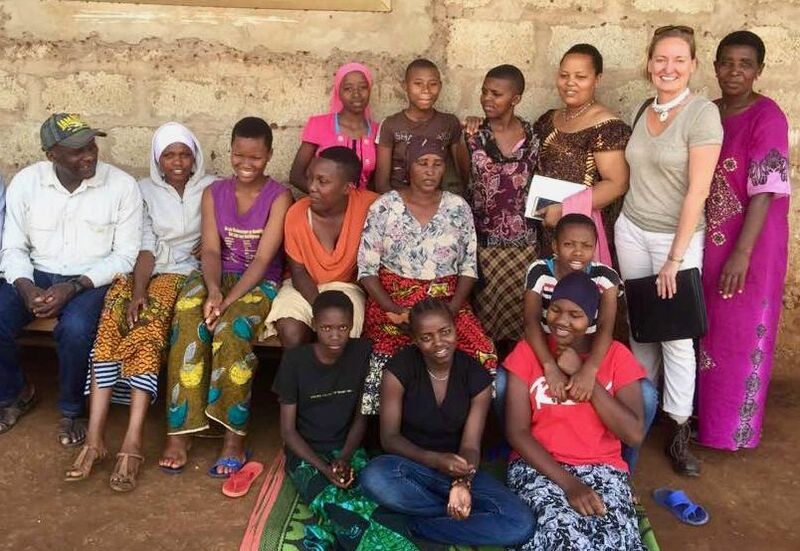 In 2018, Terrawatu assisted Kibowa Orphans Centre, located on the outskirts of Arusha town, to construct an office and storage facility for food and supplies. This was a necessary input as the local authorities require such facilities for safety and security at an orphanage. The children at Kibowa continue to excel in their studies at their respective schools and all have progressed to the next level this school year which began in January 2019. We are currently raising funds to continue to support more children at Kibowa. 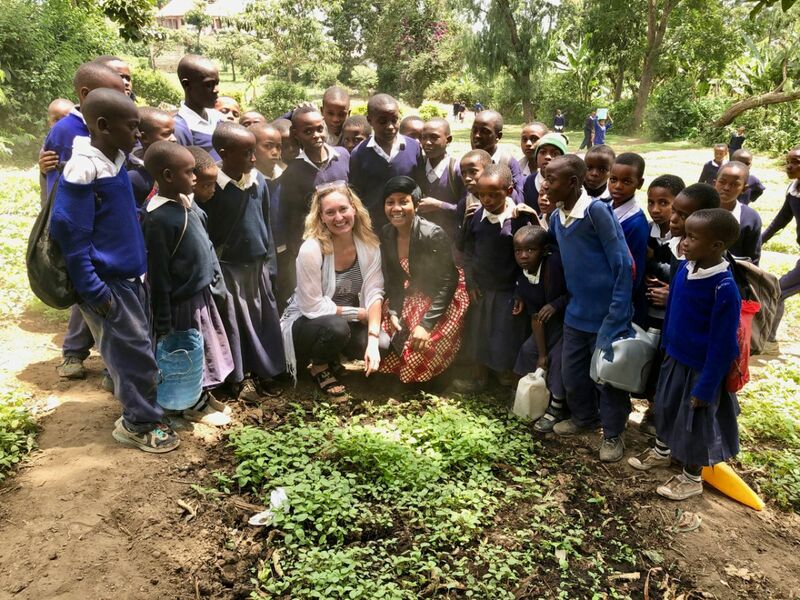 Due to lack of a reliable water source at Kibowa Orphanage, Terrawatu decided to launch its second Moringa cultivation effort at Nadosoito Primary School in September. We started with another 200 plants in a newly established nursery. The students at the school are learning about the uses of moringa and are responsible for watering the seedlings. Now that some of the plants are established, they have been transported to Kibowa Orphans Centre where they growing well. This exciting project - initiated in partnership with JSFoundation of Belgium - has the goal of establishing food forests with new varieties of plants in addition to Moringa, all with high nutrient content, essentially creating a healing garden that people can use in their kitchen, and later, to sell for business. The costs associated with the next stages of the moringa cultivation project (grinding machine, nursery materials and transport) are at $650. Go to Terrawatu's donation page to support this important initiative. Terrawatu has worked in the village of Mkonoo since its founding in the early 2000s. We originally took over from a tree-planting project that had finished its funding. The women involved had established an active network and were sad to lose support for their activities. They reached out to Terrawatu and we have supported them with resources - information, time and funding - ever since. Over the years, the community has worked hard to re-forest their land, develop small handicraft businesses and provide schooling for their children. 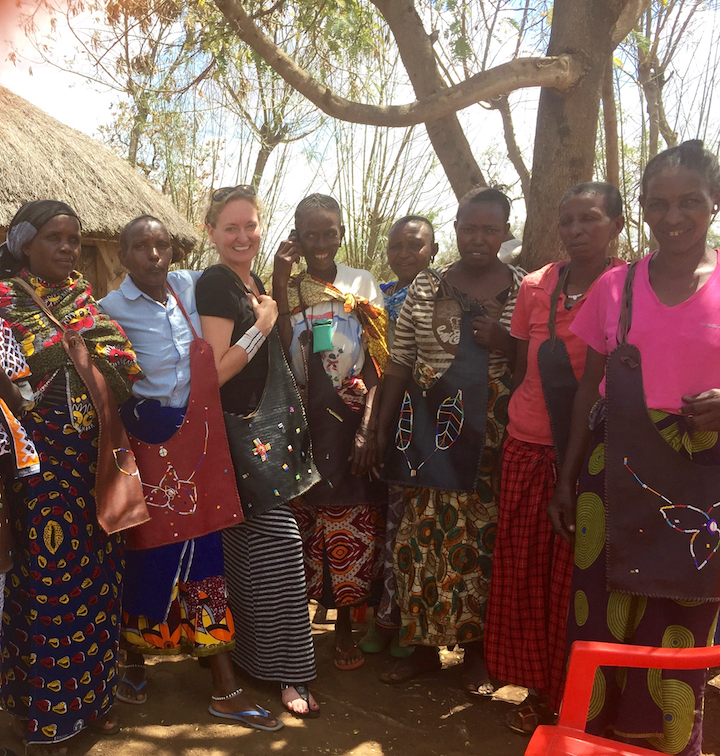 In 2018, Terrawatu introduced two new ideas to the Mkonoo Women’s Network: 1) cultivation and processing of moringa plants; and 2) strategies to improve cleanliness and sanitation in the bomas (homesteads) in an effort to lower risk of disease. Moringa cultivation in Mkonoo began in September. Terrawatu provided 200 seedlings and built up a nursery to protect the small plants from livestock and other animals. In concert with Terrawatu’s Moringa cultivation project in Nadosoito, the plan in 2019 is to provide the communities with a grinding machine to process the plants and assist the communities with how to use the products for their own use and eventually to supply the local market(s). Terrawatu’s Project Director will be taking the lead to teach the women and children in the homesteads about how to improve their cleanliness and sanitation. Trained by local nurses, Ms. Angella Marcel has already been teaching basic health techniques and we plan to expand her reach in 2019, including at Kibowa Orphanage. Target your impact with specified support for a child at an orphanage, moringa cultivation or technology for education. 3. The most important step . . . Shop smile.amazon.com (amazon.com should automatically re-direct to smile.amazon.com once you register) and also still qualify for Prime Shipping and all of Amazon's great deals. Now you can shop for the things you need and support Terrawatu at the same time! Copyright © 2019 Terrawatu, All rights reserved.